Last year marked the centenary of one of Ireland’s most impassioned and ardent republicans, Sean McDermott. 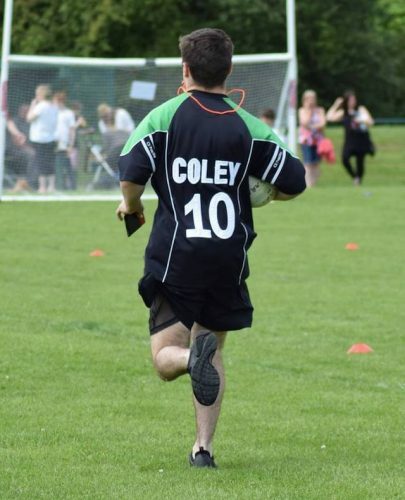 As such, it is fitting now, that only a year after the centenary of Mac Diarmada’s death, we are celebrating his memory through the medium of a Warwickshire Gaelic Football Club’s sixtieth anniversary. 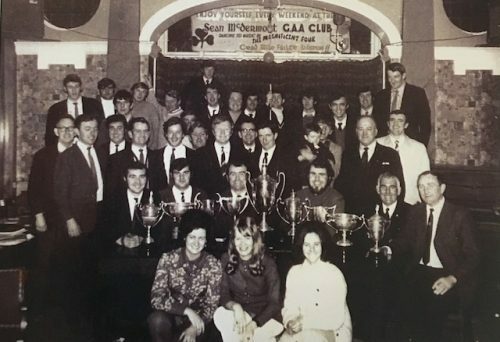 Sean McDermotts GAA Club, based in Acocks Green in Birmingham, celebrates being 60-years-old as a club this year and it has most certainly been an historic year for the club to look back on. Across the proverbial pond in Ireland, a GAA club celebrating their sixtieth anniversary would be special occasion and would definitely be a cause for celebration and reminiscing. However, in the wider scheme of things, this achievement would not be as astounding and important as it is for this club in Birmingham. 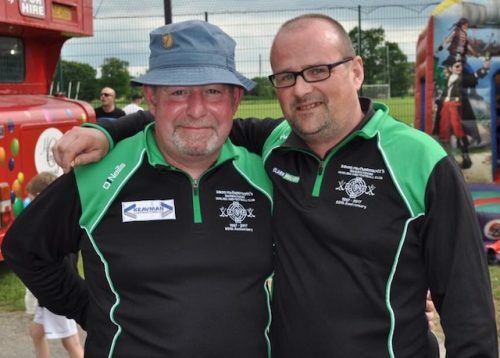 Formed in 1957, and then based out of Small Heath, Sean McDermotts GAA Club, like most GAA clubs in Britain, have had to overcome some tough years. From fighting to get players from the limited pool of Irish immigrants in the city when the club was first formed, to the trials and tribulations faced by the Irish diaspora and community in Birmingham and Britain during the Troubles and the prejudice that followed this period, McDermotts have survived them all. “Macs” – as they are more affectionately called – have indeed had a proud and successful history in Warwickshire and Britain. Whilst discussing the club’s achievements and anniversary with avid clubman Noel McLean, my colleague at the Irish World, Larry Cooney, stated that the Birmingham team are “one of the most distinguished and accomplished outside Ireland”. In fact, their Gaelic Football sides have dominated the Warwickshire GAA landscape at nearly all levels for a number of years now. Fittingly, 2017 has been an especially productive and successful year for the club. In September, after a convincing victory over Coventry based Casements, the senior panel were crowned Warwickshire County Champions for the second successive time. From here, they despatched the Lancashire champions, Oisins, by a margin of six points (1-3 difference). Their exploits then continued with a narrow victory over Thomas McCurtains of London on the pristine playing surface at the newly opened, McGovern Park in Ruislip – the London county grounds. Next up was the All-Britain Senior Football Championship final against the title-holding Dunedin Connolly’s of Scotland. A hard-fought game, just how Macs like it, the club’s opportunity to claim a provincial final again, forty-two years after their last one, ended unfortunately in a fivepoint defeat. Despite this bitterly disappointing result, the club is still in high spirits – and rightly so. Arguably, the club owes its success to its own recognition of the youth as the future of the club and the only way through which the rich and strong tradition of GAA in the Midlands can continue. During their somewhat illustrious campaign this year, the club was heavily reliant on the contribution, skill, fitness and natural ability of its British-born cohort. 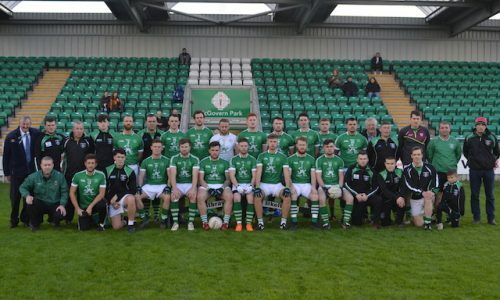 Although mostly members of the diaspora and second or third-generation Irish, many of these young men have not grown up with the focus on Gaelic games like the first-generation Irish immigrants who make the journey over have. Nevertheless, their passion for, dedication to and love of the game is second-to-none. One only has to look at the team sheet for the panel the club took to the final of the All-Britain Provincial Football Championship final to see how integral these young British-born footballers are to the club. In their starting line-up, McDermott’s had nine British-born players and eight more were on the bench. In addition, their captain, Niall Gilbride was also a Kings Heath, Birmingham native. Peter Kelly, McDermotts’ Senior football manager and Mayo exile, reverberates this when he states that ‘on the current Macs team we have some of the best British-born players in the country’. 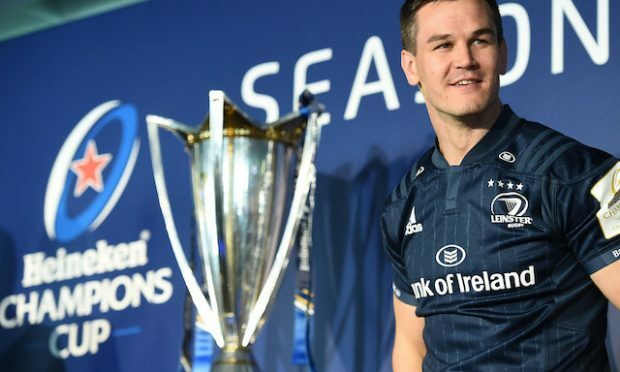 Some of whom, he continues, ‘are exceptional players and would be more than capable of playing in very good Irish teams’. An assertion evidenced by McDermotts absolute dominance of the Homegrown Gaelic Football Championship in recent years. Easily crowned Homegrown champions of Warwickshire at every attempt of trying, they also have two All-Britain Homegrown Championship titles to add to their array of silverware. On top of this, the club’s junior side, which consists nearly entirely of British-born footballers, won their respective championship title against the club’s bitter rivals John Mitchel’s; widening the already rich pool of potential players to select for senior competitions in the upcoming years. 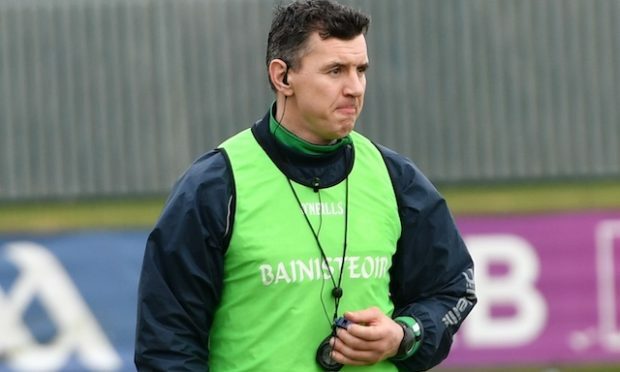 Kelly further explained that this situation and the success that has followed has arisen from the ‘phenomenal’ work done by club volunteers at underage level. Indeed, with the club’s underage set up winning silverware at nearly all ages apart from one, McDermotts’ winning ethos is clearly instilled in their youth sides. 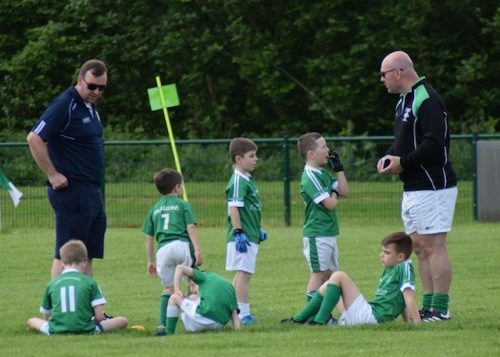 The senior manager also vividly recalls how he attended an under-8’s blitz earlier in the summer, at which most teams had eight-to-ten players, whereas Macs had two teams of twelve. The club’s investment in their underage system is clearly paying off and seeing as it is set to continue, it seems that Sean McDermotts will remain a formidable side in British GAA for years and hopefully decades to come. Three years ago, after Warwickshire County won the Lory Meagher Cup in 2013 – a feat replicated by the current county hurlers this year – Keith Duggan at the Irish Times wrote ‘the English Midlands is host to a proud GAA tradition’ and that ‘Warwickshire were winning the generation game’. In light of this article, it is abundantly clear that both of these statements are validated and can most certainly be applied to Sean McDermotts as a club. Duggan also continued to attest that when overseas GAA is discussed by the media and others in Ireland, most automatically turn their attention to London, New York and the more fashionable cities the diaspora have spread to. 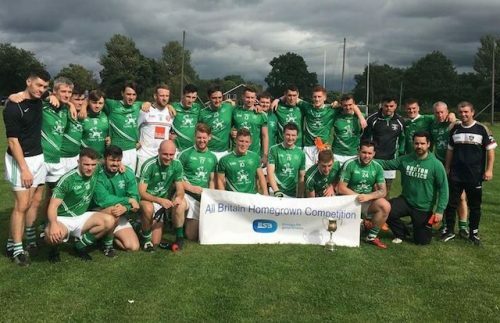 However, with clubs like Sean McDermotts thriving after sixty years and continuously developing young British-born players to continue these traditions as time progresses, the success of teams like this in the Midlands will serve to promote Gaelic games outside of Ireland far more than immigrant led teams barely surviving from one year to the next without an influx of migrants. Sean McDermotts GAA Club’s commitment to the preservation and continuation of Irish, Gaelic culture, pastimes and traditions means they are certainly becoming of their namesake’s legacy and love for Ireland. If the club continues in the same vain over the next fifteen and forty years, it will most definitely be celebrating even greater success at its 75th and centenary anniversary dinner dances. As Peter Kelly says, the club will continue to build on this year’s success and he is certain of ‘a Macs and Mayo double for next year!’.